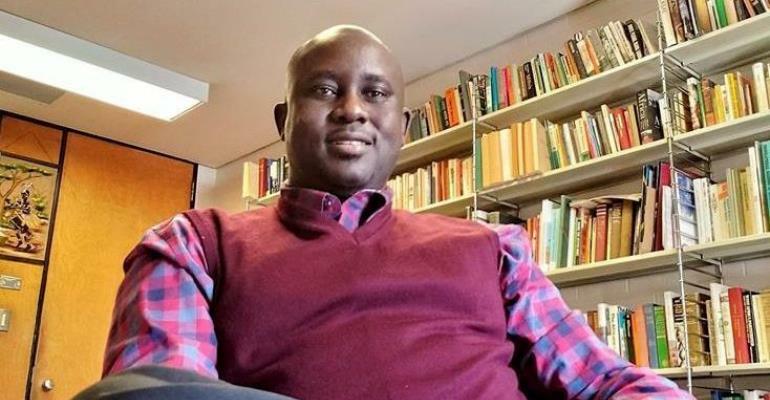 Prof Pius Adesanmi, a selfless African and global scholar was on board the Ethiopian Airlines Flight 302 from Addis Ababa to Nairobi, he was on his way to an African Union conference. Prof Pius Adebola Adesanmi was a Nigerian-born Canadian professor, writer, literary critic, satirist, and columnist. He was the author of Naija No Dey Carry Last, a 2015 collection of satirical essays. Pius Adesanmi fondly called “Payo” by friends and associates was born on February 27, 1972 in Isanlu, Yagba East Local Government Area of Kogi State, Nigeria. He holds a First-Class Honors from the University of Ilorin in 1992, then a master in French from the University of Ibadan in 1998 and a PhD in French Studies from the University of British Columbia in 2002. From 2002 to 2005, he was Assistant Professor of Comparative Literature at the Pennsylvania State University, USA. Adesanmi was a Fellow of the French Institute for Research in Africa (IFRA) from 1993 to 1997, and of the French Institute of South Africa (IFAS) in 1998 and 2000. From 2002 to 2005, he was Assistant Professor of Comparative Literature at the Pennsylvania State University, USA. In 2006, he joined Carleton University, in Ottawa, Canada, as a Professor of literature and African studies. He was the director of the university's Institute of African Studies until his untimely death. For many years, Adesanmi was a regular columnist for Premium Times and Sahara Reporters. His writings were often satiric, focusing on the absurd in the Nigerian social and political system. His targets often included politicians, pastors, and other relevant public figures. In September 2015, his scathing column on the decision of the Emir of Kano, Lamido Sanusi, to take an underage wife generated substantial conversation on the matter, and even got the response of the Emir who responded to Adesanmi by name. In 2015, he gave a TED talk titled "Africa is the forward that the world needs to face". For the Nigerian writers, Prof. Adesanmi was a restless intellectual who always loved cerebral exercises in form of banters and criticisms of literary works. He is a contemporary satirist, a die-hard African with award-winning books such as “The Wayfarer and Other Poems” which won the Association of Nigerian Authors’ Poetry Prize and “You’re Not a Country, Africa which won Penguin Prize for African Writing in the non-fiction category. In Ghana, Professor Adesanmi has been a regular resource for the University of Ghana Pan African Doctoral Academy where he thought doctoral students. Professor Pius Adesanmi! Everything that needs to be said about your remarkable life has not only been said but those things have been said so eloquently by the numerous lives that you touched in your approximately 50 eventful years of life. The Professor had plans to return to Nigeria once his term as the Director of the Institute of African Studies ends in 2021. Today as we celebrate the life of an African icon and scholar, it is our chance to say thank you Prof for the way you have impacted our lives, even though God granted you but half a life. We will all feel cheated always that you were taken from us so young and yet we must learn to be grateful that you came along at all. We pray much for your soul, rest in peace with God, we are very sad but God will give us the strength to cope in the best way, we will remember you with great joy, although you should have never left. We know that the void created by your demise will be difficult to find someone like you again, so happy, so motivating, always drawing a smile and there to support us, we will always remember you. We now know that you have just departed to another life, we will remember you at every moment as you were an exceptional person, however, we say fare thee well.